It’s the night before the Oscars and there are so many stars stepping out to party the night away! 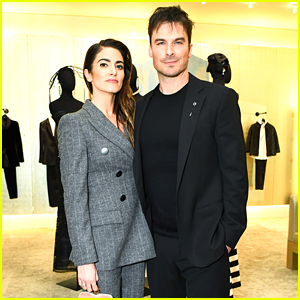 Ian Somerhalder and wife Nikki Reed are among the celebs who helped celebrate Glenn Close‘s work in The Wife at a cocktail party hosted by Giorgio Armani on Saturday night (February 23) in Beverly Hills, Calif.
More celebs at the event included Ben Barnes, former Glee co-stars Chord Overstreet and Harry Shum Jr., former Teen Wolf co-stars Holland Roden and Colton Haynes, Alex Pettyfer, Gregg Sulkin, and The Perfectionists‘ Garrett Wareing. 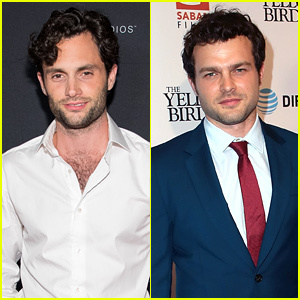 FYI: Ian is wearing Giorgio Armani. Nikki is wearing Giorgio Armani. Colton is wearing Emporio Armani. Harry is wearing Emporio Armani. Holland is wearing Giorgio Armani. Alex is wearing Giorgio Armani. Gregg is wearing Emporio Armani. Garrett is wearing Emporio Armani. Valentine’s Day has come and gone again and with it, were a ton of romantic and melt-worthy Instagrams and dedications online. 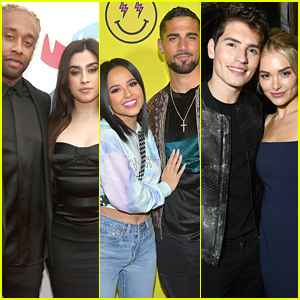 Lauren Jauregui, Becky G, Gregg Sulkin and many more posted sweet messages and pics for the annual romantic holiday that you might’ve missed while scrolling through your feeds. 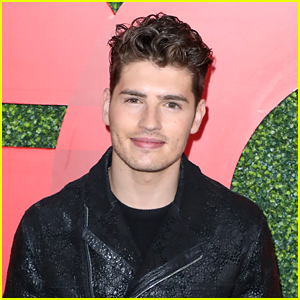 Gregg Sulkin is finally introducing his fans to his adorable new dog, Bentley. The Marvel’s Runaways actor shared the pup’s first pic on Instagram this week. “Meet little Bentley!! This little pup is a rescue from Mexico. He’s incredibly affectionate, still a little nervous but he’s growing in confidence everyday ❤️,” he wrote. Gregg Sulkin strikes a pose with Dominic Sherwood, Emilia Merkell and Maisie Richardson-Sellers on the cover of Tatler magazine’s February 2019 issue, available January 3rd. For more from the issue, visit Tatler.com. Talk about a major flashback! We all know that Timothy Granaderos, aka Monty on 13 Reasons Why, starred in Selena Gomez‘s “I Love You Like a Love Song” music video – however, he’s also connected to the entire Wizards of Waverly Place cast, because he was a production assistant on the show! 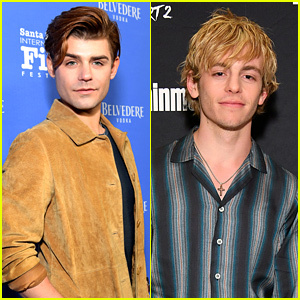 In a exclusive 10 Fun Facts feature on our sites, Timothy revealed that while working on the show, he also drove Gregg Sulkin to the hospital one time. If you recall, Gregg was actually rushed to the hospital in 2011 after his appendix burst during shooting. Eek!